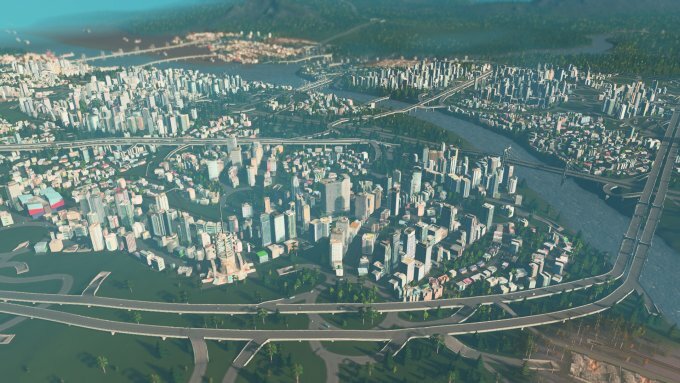 Cities: Skylines is my new favorite game. 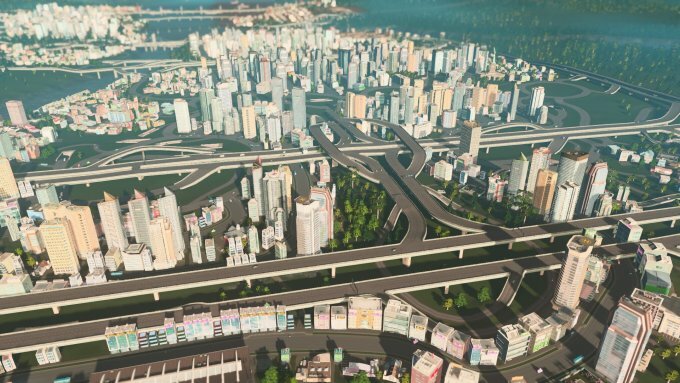 It's a modern reincarnation of SimCity, and it gives me great joy to partake in its chaotic simulation, fighting traffic demons and catering to my never-happy citizens. While there is still a lot of room for improvement, and the game has yet to reach that metropolis builder stage, it is an almost perfect little title for the entrepreneuring nerd in me. 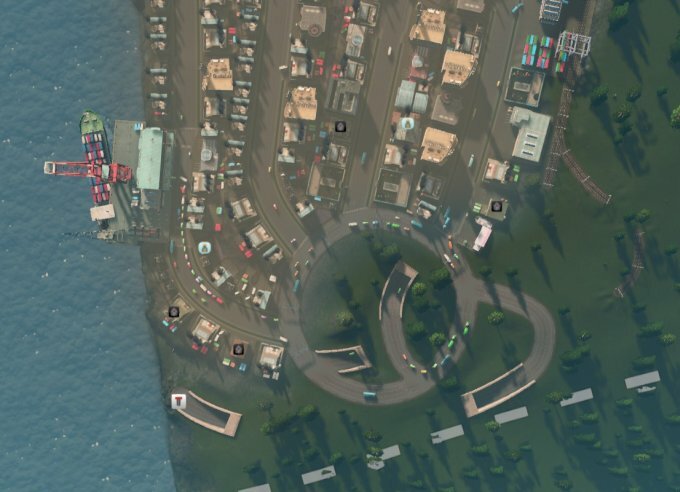 One of the core challenges in Cities: Skylines is indeed urban traffic. You start small, humble and smart. You plan. At first, seemingly, everything is under control. But then, your city explodes, the population skyrockets, and all of a sudden, your highways can't cope, your trains are late, your industry is clamoring for raw material and services, and it's getting worse by the minute. Indeed, I dedicated a whole article to trying to solve traffic network issues, but we've only scratched the surface. Now, we will go below the surface. The key to successful traffic management is that there isn't one. It's a whole lot of different keys, and sometimes, you must use all of them at the same time. 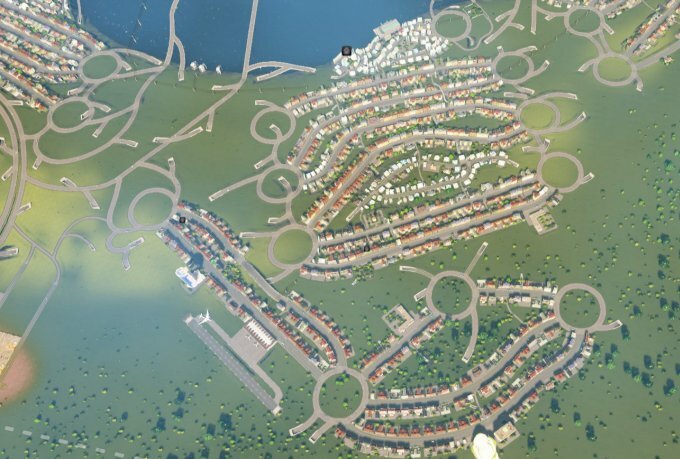 To put not a too fine point on it, the digital little people in Cities: Skylines are dumb. 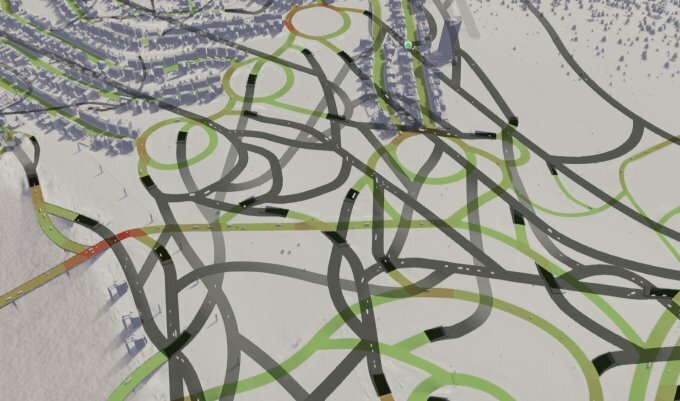 Your citizens will always try the shortest path from A to B, even if it technically, practically means more time. But we only know this after the fact. Because time is very difficult to predict and factor in - is there going to be a traffic bottleneck there, we can't really know - so the best we can do without exploding into the realm of chaos physics is to estimate ideal speeds over given, known distances. This is the sum of all mathematics of all urban traffic, game and real life alike. True, you can do all sorts of clever algorithms, but you cannot really predict human behavior. You've all been there a hundred times. A sudden traffic jam caused by a minor accident. But your calculations are now completely off. There's only the vague estimate of your GPS, if you're lucky, and now you're wondering, Game Theory style, what to do. Try a different route? Will it be jammed? How long will the detour take? Do you prefer to sit in a traffic jam or drive around and still arrive at your destination at the same time? Are you willing to avoid the traffic but spend more time on the road? All this is happening in your head, against the particular timetable restrictions, work needs, mood, fuel cost, and other considerations. 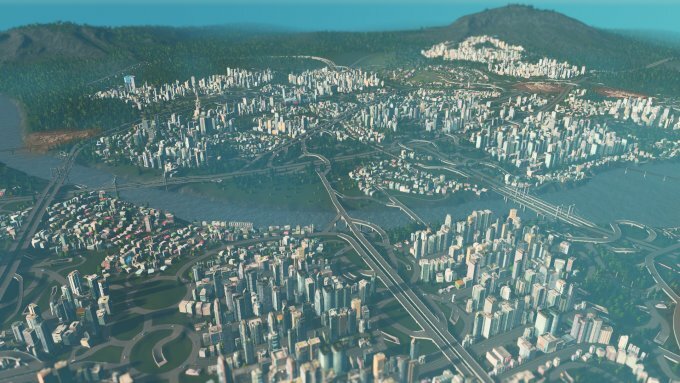 Multiply that by a few million, and you have your typical city. Top it all with weather, road works, public transit, sanitation and delivery services, mad truck drivers, mad van drivers, mad and confused tourists, death-wishful pedestrians, and rogue cyclists who break the law every minute. 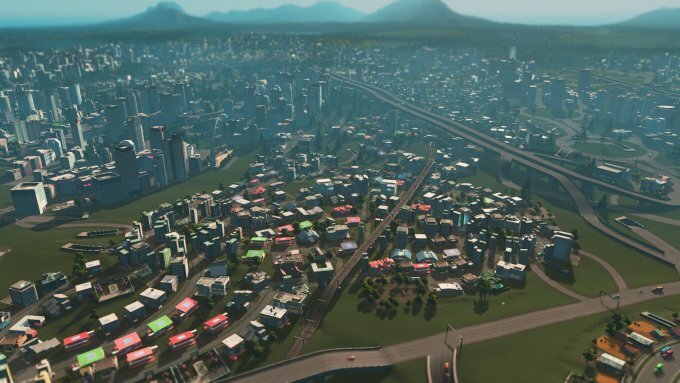 Cities: Skylines follows the same rules. You have your roads, that's a given. 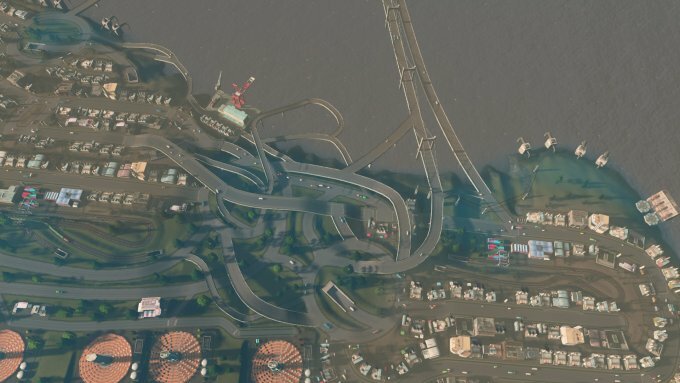 But what happens on them is just a guess, and that's why your in-game traffic will always flock to specific stretches of your road network. Furthermore, your city will never ever be uniformly spread. There will always be preferential ingress and egress points, as well as more densely populated neighborhoods, where more traffic will flow at any given time. The location of your industrial areas will also dictate how the traffic moves around. 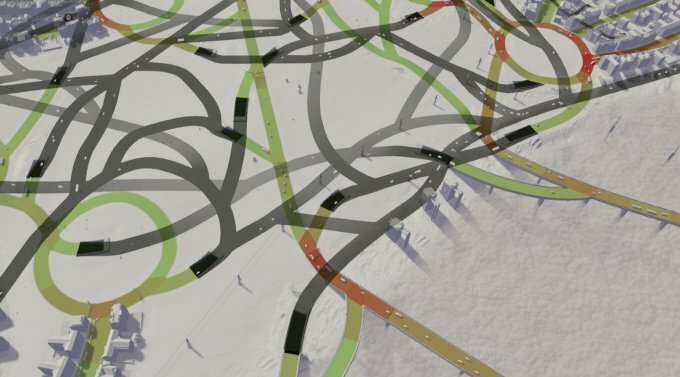 This means, over time, your city will develop inevitable gridlocks, inevitable chokepoints, some roundabouts will always be red, no matter what, and you will spend a lot of time trying to figure out how to clear some of that traffic away, and how to direct unnecessary cars to a different junction. Yes, indeed, the optimization game will become one of traffic distribution. Trying to achieve uniformity, not so much in the amount of cars, but more in the accessibility of any given transport vehicle to any point in the city. Sounds complicated? Well, it is, but then, it isn't. An ideal city with a perfectly balanced traffic flow is one where cars do not need to traverse unnecessary roads and junctions to reach their destination. To simplify, let's explore an example. Say you have two roundabouts, positioned one after another. However, only the first one links to a highway, while both link to a series of local roads. This means, without any great mathematical wizardry, anyone with a necessity for highway access will have to go through the first roundabout, even if they do not need to access any of the local services or houses. 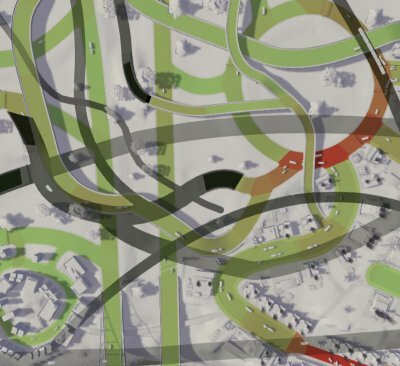 Automatically, by its functional proximity to the motorway, the first roundabout becomes the weakest link in the system, and will probably be burdened with 2x traffic. If the volume is light enough, fine, if not, a traffic jam will develop, which could harm the services in the entire neighborhood. 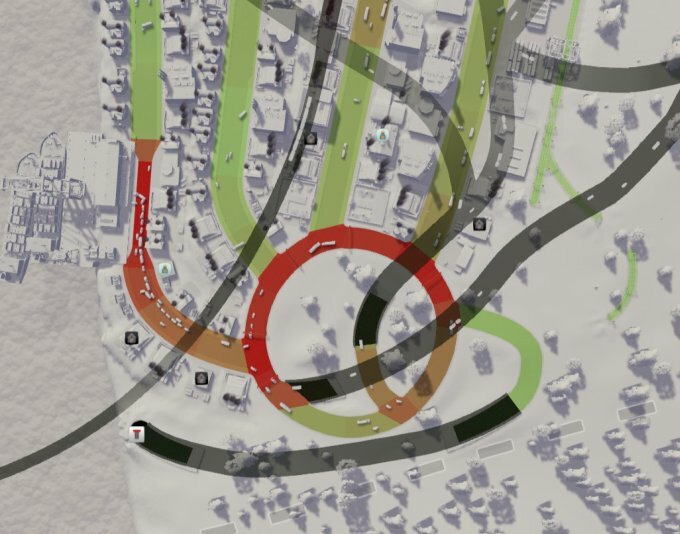 Ideally, you would have bypass ramps leading off and onto the highway and connecting to both these roundabouts so that people from different neighborhoods never need to meet if their destination is on the far side of the map. 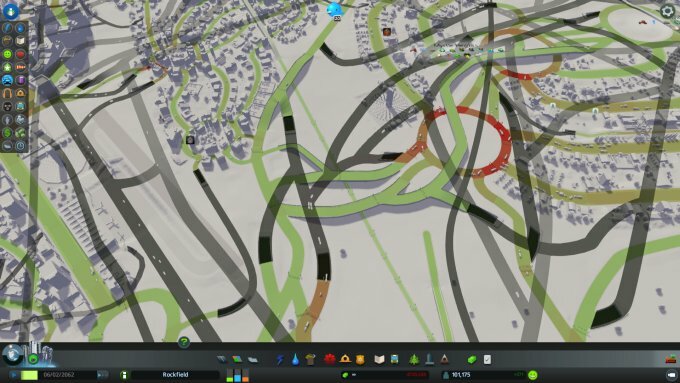 And that is one of the big factors in the game traffic management. 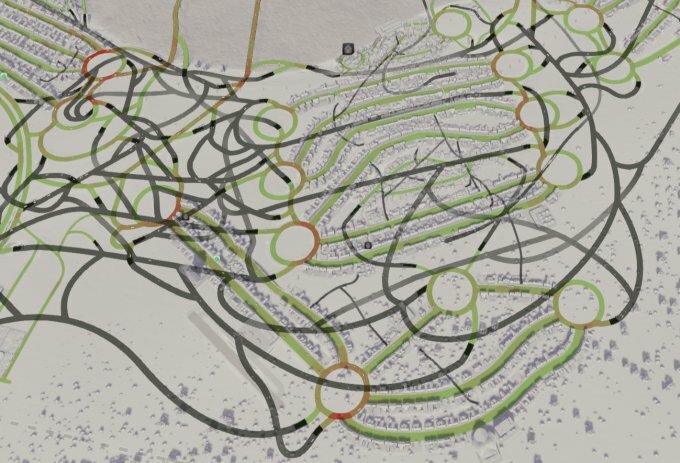 Remember the shortest path rule? In other words, quite often, all of your cars will divert toward a particular road or junction, because it's the nearest to your highway network. What you want is to have a road setup that allows cars to quickly reach fast routes, without unnecessarily following the urban layout. 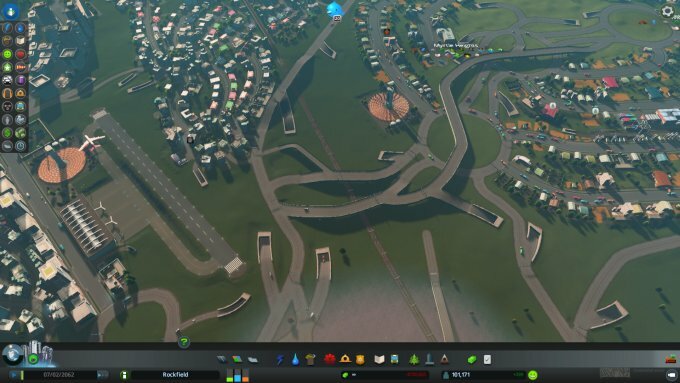 If you can somehow position your highway entrances and exits to be equidistant for all your citizens, you will achieve a balanced, organized, self-sustaining traffic network. Not the most elegant one, but surely the most optimized. Alas, all these roads take precious space, and you want to use it for your housing and commerce. What do we do now? We go underground. 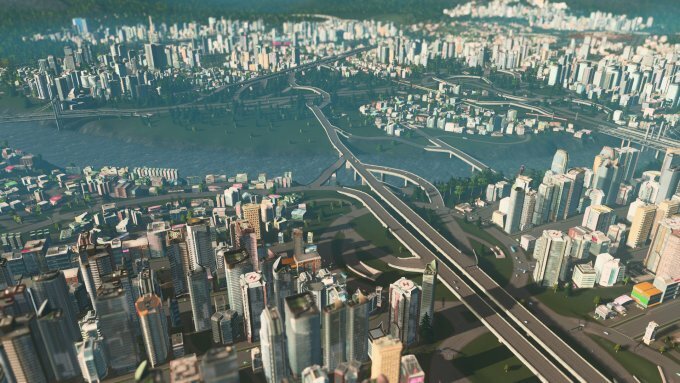 Cities: Skylines let you build roads on many levels. Overground, you have up to five heights for your lanes. But that makes for an ugly, noisy and cluttered landscape, and it takes away precious space you could dedicate to buildings and offices. What too many people seem to forget is that the game lets you also build up to three underground levels of roads. The benefits are numerous. They are hidden away from the view, there's less noise, pollution and visual clutter, so the property value goes up, you have more real estate to build and develop your city, and the traffic rules that affect visible roads does not seem to apply for underground tunnels. Maybe it's just my misconception, but it seems there's no slowing down of traffic there, and that means extra car throughput for you. As always, you should avoid merging lanes as much as you can, and you still need nice, gradual entrances and exits to keep the traffic speed constant, or as high as possible. But there's a lot of potential and unwritten rules in the underground element of the game. Here are some really neat examples. Looking from above, the city looks quite orderly. 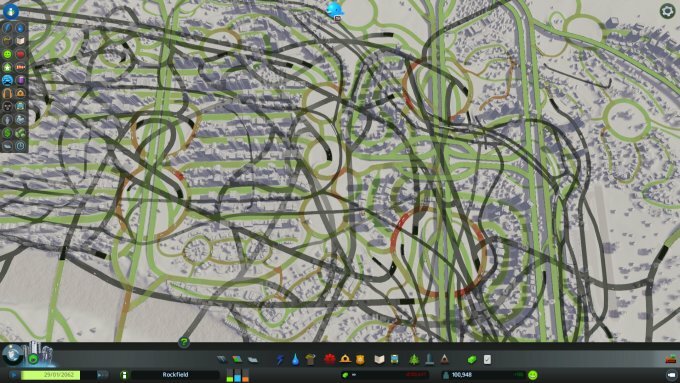 But if you toggle the network map on, you can see the snaking lines of underground roads, the squiggly monstrosity that stretches like a deranged cobweb. Every single tunnel has its holy purpose. 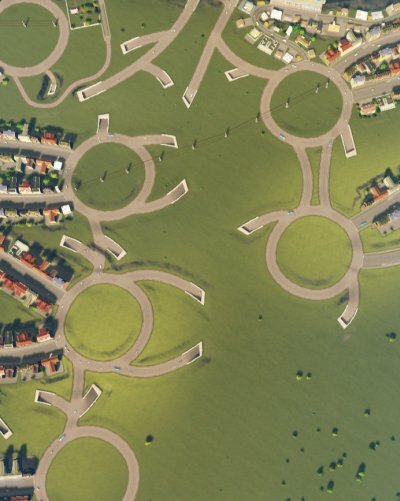 Some of them switch back and circle around entire neighborhoods, to deliver traffic true and mighty and undistracted to remote districts. You avoid neighborhoods, you avoid traffic jams, and you know exactly where your cars are going to end up. First image, overground view; second image, full view with underground roads. Underground tunnels also give you more urban planning freedom. 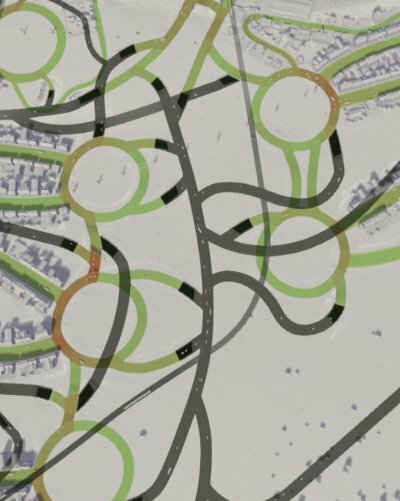 Surface roads must follow the topology of neighborhoods, so you're restricted in what you can do, especially later on in the game. It is quite often difficult to bring yourself to completely raze down a district and start from scratch, so you often carry along with your past mistakes, plus your businesses are quite developed at this point, and losing them would be a mistake. Can't get any busier than that. Going on the down low, so to speak, solves all your problems and sentiments. 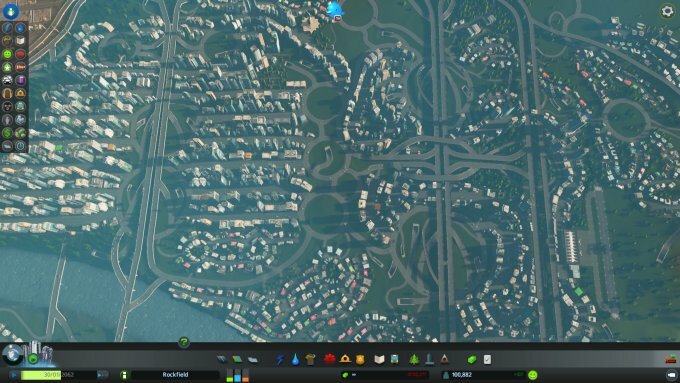 Your districts remain intact, you do not lose precious income by ruining your top areas, and you get faster traffic, which in turn boosts demand and helps driving even more taxes and happy citizens your way. Bob's your uncle. I often wonder what real cities look like under the asphalt. Of course, electricity and piping can never be pretty, but then think subways and tunnels and whatnot. It must be a nightmare, and I doubt there's one civil engineer who ever envisioned what their urban plans would look like 20-30 years down the time trouser leg. It is easy to control the first expansion, and maybe the second, if you're disciplined and careful. But then it explodes. Having three more levels of freedom below ground definitely helps maintain your sanity and minimize the chaos. If you're keen on having burgeoning 100K+ cities that suffer from little to no traffic jams, with only an odd street showing up dark red in your traffic report, you need to carefully, evenly balance and distribute your traffic so that any one citizen has to drive approx. the same distance to the nearest highway. Applies for residential areas as well as your industry. And the best way to achieve that is a hidden grid of underground roads. Don't be shy, get those highway burrowing under your neighborhoods. No one will see or care how ugly and wormy the underground topology is. But you will have cleaner air, quieter districts, higher property value, and more, faster traffic. 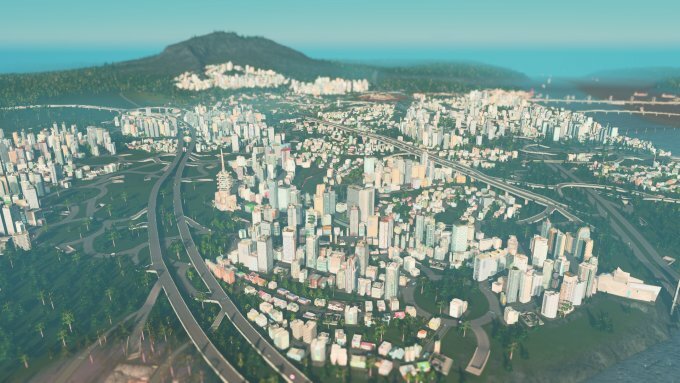 All the right ingredients to get Cities: Skylines to love you back and help you expand. Well, I guess that's enough for one article. In the follow-up guide, we will talk about subway and how to manage your cargo harbors, so you don't end up gridlocked to death. Take care. Oh, we will also review the super-lovely After Dark and Snowfall expansions. Let there be a teaser. Now, properly this time, take care.